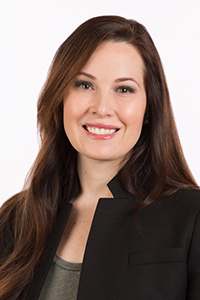 Located in Portland, Oregon, Dr. Rachel Streu is a board certified plastic surgeon who brings to her patients a passion for artistry and excellent outcomes through the full spectrum of cosmetic and reconstructive plastic surgery. 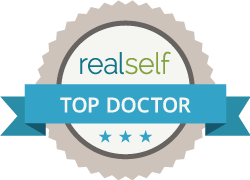 Dr. Streu specializes in a wide range of services to enhance your overall appearance as well as providing reconstruction after injury or cancer treatments. Cosmetic procedures that are offered include (but are not limited to): breast augmentation, breast reduction, abdominoplasty, mommy makeovers, facial rejuvenation, liposuction and body contouring. Reconstructive procedures include: reconstruction after skin cancer removal (MOHs surgery) and reconstruction after surgery for breast cancer using multiple techniques personalized to each patients' need. Her unorthodox pathway to medicine began at the University of Michigan School of Art and Design where Dr. Streu earned her Bachelor of Fine Arts. This in-depth training as a fine artist sets her apart as a surgeon and translates to exceptional aesthetic results for her patients. Dr. Streu earned her Masters in Science and Medical Degree at Wayne State University School of Medicine. At St Joseph Mercy Hospital in Ann Arbor, Michigan, she completed her general surgery training. During her surgical training, Dr. Streu spent a year as a research fellow at the University of Michigan in the Section of Plastic Surgery. The Waldorf Center is dedicated to providing the highest level of comprehensive cosmetic and reconstructive plastic surgical care and spa services in the Northwest areas of Beaverton and Portland, Oregon. The Waldorf Center specializes in a wide range of procedures including facial rejuvenation, breast and body contouring including facelift, breast augmentation, breast lift, tummy tuck, and non-surgical procedures such as Botox®, dermal fillers, Coolsculpting®, and more.